I worked with the rest of the Level Design team on Forza Horizon 3 to help design Races and Open World Experiences. I initially started working on areas of the world, working from white box to make sure that the roads were fun and interesting and that the terrain around it was also. Once these had been passed onto the environment teams to begin their art passes, I moved onto race design and flow management. Following on from this I moved onto working on race navigation and readability for every race in the game, making sure that the races had enough visual clues to guide the player around the routes as effectively as possible. This was done through the placement of directional signs, crowd and various other props and assets. Because of the nature of this work, it also lead to me working on route optimisation, gameplay balancing and iterations on all of the content within the game. I was employed as a contract Content Creator for Ghost Games but was situated in the Criterion studio in Guildford, UK to help them during their creation of the cop experience for Need for Speed across all platforms. I was put in charge of the creation of entire road network system which involved the creation of splines across the entire game. The racing systems (created in a visual script language called schematics) used these splines to correctly create race routes around the world. Also this allowed the player to read and understand where they have to go through the GPS system quickly and efficiently. This also lead to me working alongside other content creators on the team to create races for the game that had to be action packed and, most importantly, fun in both single and multiplayer. We worked to keep the difficulty and the gameplay interesting throughout the game. Part of the LittleBigPlanet 3 Team, working alongside Sumo Digital on the development of LittleBigPlanet 3 on Playstation 3 and Playstation 4. I worked on levels for singleplayer and community content as well as many of the tutorials for creation and various mini-levels used for promotional content. 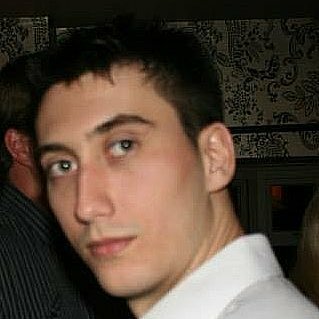 QA, Compliance and Functional Games Tester for soon to be released Xbox titles. Dissertation titled “The Different Artistic Elements of Level Direction” soon to be published – Can be viewed at http://bit.ly/TBja0i.